Joan Ketterer still recalls the button her son Edward got for donating his baby teeth to what was then a groundbreaking study looking at the effect of nuclear fallout on children born in the St. Louis-area in the 1960s. “I Gave My Tooth To Science” proclaimed the button, which Edward, or “E.J.” as his parents called him, proudly wore for days. But the button was eventually put away. Edward grew up, married and opened a successful orthodontics practice in Houston. And Joan Ketterer forgot about the study. 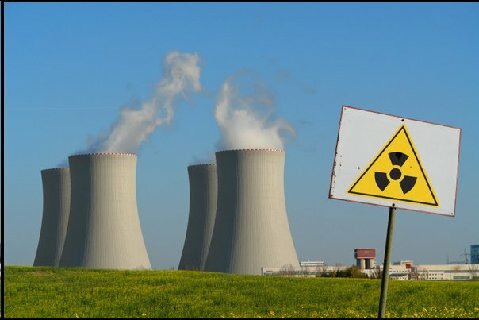 But Tuesday, a New York-based research group released new findings that suggest male tooth donors who ended up with cancer as adults had double the amount of a radioactive isotope created by nuclear fallout than healthy donors who participated in the original St. Louis study. The new research was spurred by the 2001 reappearance of 85,000 teeth that had been donated for the 1960s study, which was conducted by Washington University scientists. The teeth were found in an old bunker at the university’s Tyson Research Center, where they had been stuffed into envelopes that included information about the donors, one of whom was Edward Ketterer. Edward Ketterer’s contribution proved to be crucial to the new study. That’s because he is one of the 77 male donors diagnosed with cancer who served as case studies. He passed away in 2006 at the age of 47, just a year after being diagnosed with invasive transitional cell carcinoma. His parents believe his exposure to nuclear fallout may have contributed to his death. “His doctor always called him his mystery patient because no one understood how he ended up with this cancer, which is a very ugly, unpredictable kind of cancer,” said Joan Ketterer, a retired nurse. The new study is a spinoff of the St. Louis Tooth Survey, in which more than 300,000 kids sent their teeth to the Greater St. Louis Citizens Committee for Nuclear Information. Washington University scientists analyzed most of the teeth for strontium-90, which was created by the bomb blasts and absorbed by the teeth and bones of infants. The study concluded that St. Louis children born in 1964 had about 50 times more strontium-90 in their baby teeth than those born in 1950, before the start of atomic testing in Nevada. When the teeth were found in 2001, the university donated them to the Radiation and Public Health Project, a New York-based nonprofit research group looking at the links between disease and nuclear contamination. The group has been criticized for the methodology of similar studies looking at strontium-90 levels in baby teeth of people who live near nuclear reactors. The new study, however, draws many of the same conclusions as the Washington University-led study. For example, the new results show that strontium-90 levels were the highest for donors born in 1964. Of the 85,000 teeth found in storage, 6,340 teeth met the new study’s criteria, which included the children being bottle-fed as infants. Project officials were able to track down addresses for 2,703 of those donors. Through surveys, they were able to isolate 97 teeth from 77 donors with cancer and compare them to 194 teeth from healthy donors. Of the healthy donors, levels of strontium-90 were insignificant, the research shows. But the donors who died of cancer had about 122 percent more of the isotope in their teeth than the healthy donors. Mangano said he hopes to next study female tooth donors who have been diagnosed with cancer. For the Ketterers, they say they’re happy to know that the donation their son made more than 40 years ago might help others.